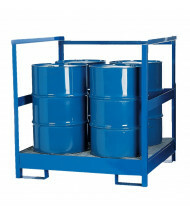 Save over 40% with our robust selection of pallets, platforms, and decks able to handle storage spills and leaks for safer transport. 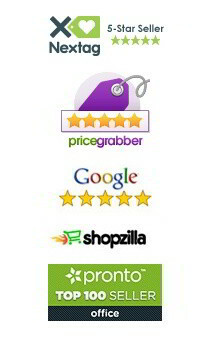 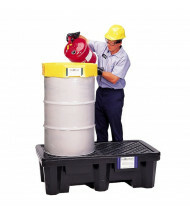 Top-sellers Eagle, Justrite, Ultratech, and Vestil are quality proven brands of affordable industrial products. 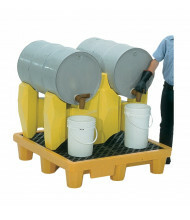 Available in different sizes to handle loads ranging from drums to intermediate bulk containers (IBCs). 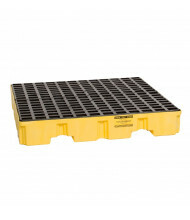 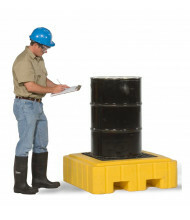 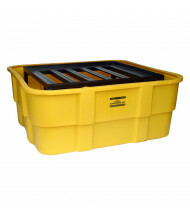 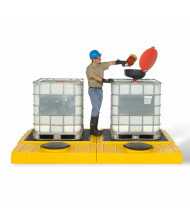 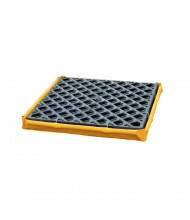 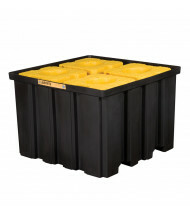 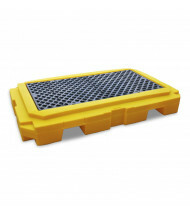 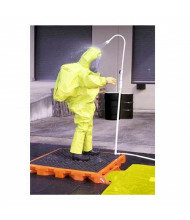 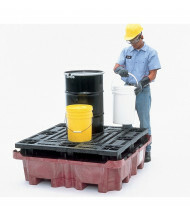 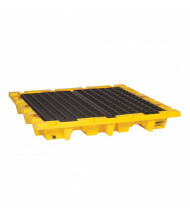 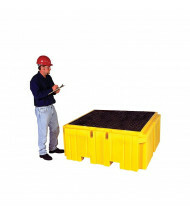 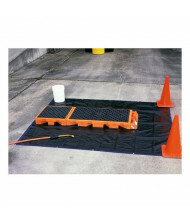 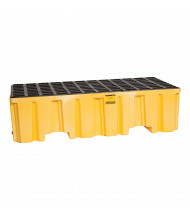 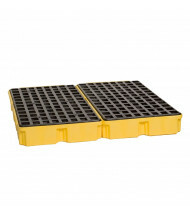 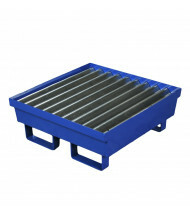 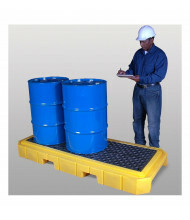 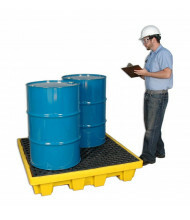 Pallets, platforms, and decks protect personnel and work environments from leaks and spills that can occur during storage or transportation of at-risk materials. 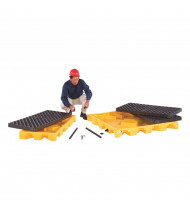 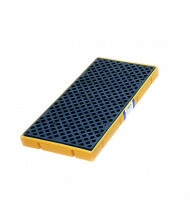 Special design elements include removable grating and fork accessibility. 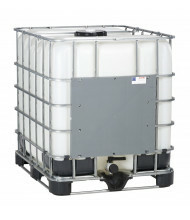 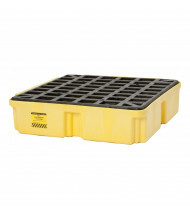 Models with drains facilitate easy sump emptying. 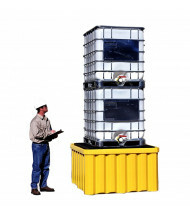 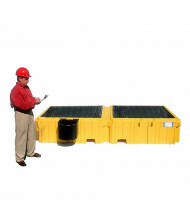 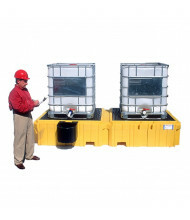 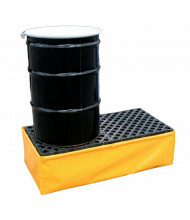 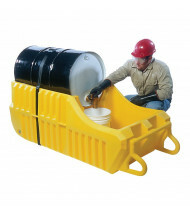 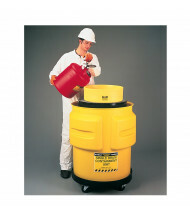 Modular units can share their sump capacities to build larger spill protection systems.